All students should discuss their opportunities for involvement in research as early as possible with their academic advisors and with the A&S Office of Undergraduate Research. Following is a suggested timetable for undergraduates who want to pursue research or creative projects. That’s the when. For detailed information about how to begin your work, read Getting Started. During the first year, students can make progress toward defining research interests as they participate in a Freshman Learning Community (FLC), a living-learning community, or take a freshman seminar. Most importantly, they are expected to enroll in general education courses in disciplines of interest. All of these courses and experiences introduce students to faculty, disciplines, and research questions. The student’s college-level academic advisor is helpful in directing students to the Office of Undergraduate Research for assistance, and the student’s major advisor can explain research opportunities in the major courses. The sophomore or early in the junior year is the optimum time to become involved in research. Why? 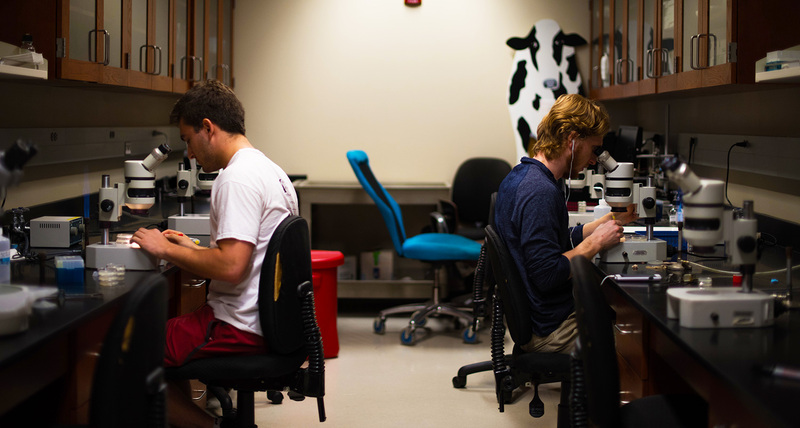 Undergraduate research takes time and builds on coursework and experiences at the University. It is desirable to view it as at least a two-year project during which the student decides on an area of research, connects with a faculty mentor, and moves through several steps in the research process. Transfer students who enroll at the beginning of their junior year are encouraged to seek help immediately if they wish to be involved in research.